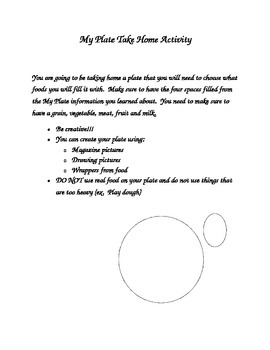 This is a take home project I use after we have studied our nutrition. I usually have the students glue the plate to a piece of construction paper. It is really great to see what they come up with for their perfect meal.